The Coffee Hour is an opportunity to network and socialize in an informal setting. Refreshments are served. All are invited! Hope to see you there! Centered around the themes of Mission Week, this coffee hour is an opportunity for students, faculty and staff to socialize and network in an informal setting. WHO: All are invited! Hope to see you there! Fr. 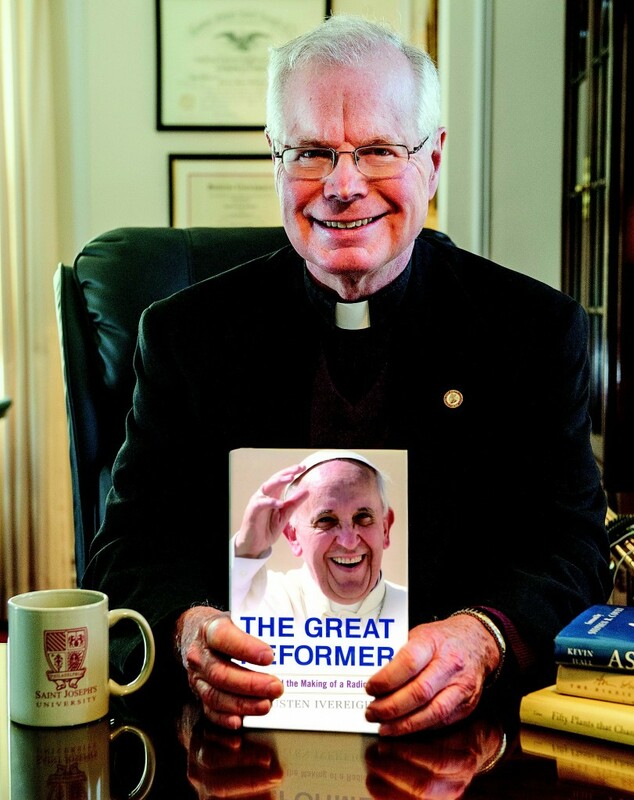 Gillespie will share his insights into the recently-published book, The Great Reformer: Francis and the Making of a Radical Pope, by Austen Ivereigh. This is also an opportunity to come together to socialize in an informal setting. WHO: All are invited. Hope to see you there! WHAT: Coffee Hour Sponsored by Academic Affairs, Drexel Library and the Office of Financial Affairs. This is an opportunity for students, faculty and staff to socialize and network in an informal setting. The Post Learning Commons will close earlier on Tuesday and Wednesday the week of Thanksgiving. The Post Academic Center will reopen on Friday, November 29 at 10:00am. Our book display to support the symposium “Lincoln and Kennedy, from 1863 to 1963 to 2013: From Civil War to Civil Rights to the Meaning of America” is located on the first floor of the Post Learning Commons. An all-SJU faculty panel discussion will celebrate the 150th anniversary of Abraham Lincoln’s Gettysburg Address and the 50th anniversary of John Fitzgerald Kennedy’s landmark Civil Rights Address. The event, which is free and open to the public, will be held on Thursday, Nov. 21, at 4:00 p.m., in the John Cardinal Foley Center on the James J. Maguire ’58 Campus. The interdisciplinary panel draws on faculty expertise from the Departments of History, Political Science, English, and Theology and Religious Studies. Starting Sunday, April 29, the Library and first floor of the Learning Commons will be open 24/7. This powerpoint slide show (in flash format) highlights some the events and people involved in the Dedication of the Post Academic Center on March 12, 2012. 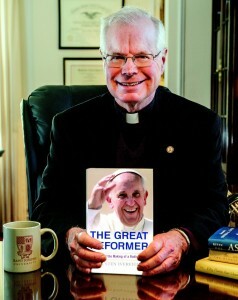 On Thursday, March 29, 2012 the SJU Community met to honor the Leadership and Generosity of the Jesuit Community at Saint Joseph’s University and to view the new Gerard Manley Hopkins, S.J. Special Collections exhibit located on the third floor of the John and Maryanne Hennings Post Learning Commons. Named after Hopkins, the esteemed nineteenth century Jesuit Victorian poet, the special collections feature, among other items, a diverse and growing collection of Jesuitica and Jesuitana, which includes more than 400 volumes, some quite rare, published between the 16th and 20th centuries. The glass of the atrium is in place, the outdoor plaza complete, the trellis for the green wall is attached, the indoor spaces are finishing up and the opening exhibit in the Special Collections Area is being assembled. We are anticipating opening after Spring Break, with a dedication of the Post Learning Commons set for Thursday, March 22nd at 4:00 PM. Mark your calendars and plan to join us!